Boston-based ugly sweater company walks 20 miles to end hunger in Massachusetts. Being a Finish Line Sponsor during our first year walking was an important and exciting opportunity for us to make an impact in our local community. Last November, Boston-based company, Get Ugly Sweaters, partnered with Project Bread, an organization that strengthens local communities by promoting sustainable and reliable access to healthy food for all. Since teaming up, Get Ugly Sweaters raised $3,000 dollars for Project Bread through the sale of their ugly Christmas sweaters. This money will be used to feed 6,000 people in need in the state of Massachusetts. On Saturday, May 6th, Get Ugly Sweaters walked alongside thousands of smiling volunteers as they navigated the Walk's 20 mile route, which took the shape of the state of Massachusetts. This event marked the 50th annual Walk For Hunger. 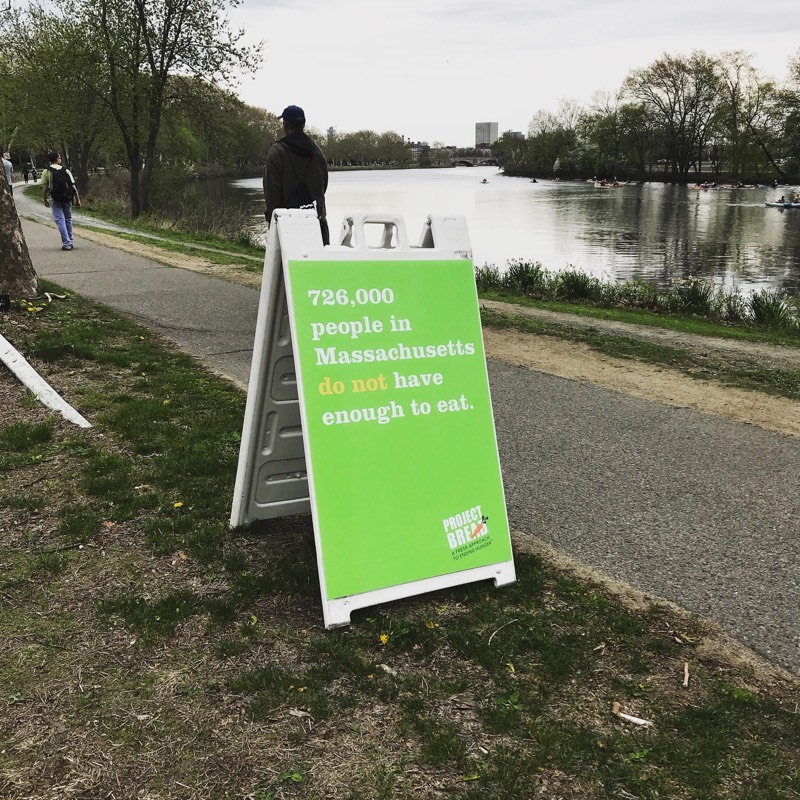 Since 1969, the Walk for Hunger has provided 1 Billion meals to food-insecure individuals and families living in Massachusetts. 263 community-based programs in Massachusetts rely on the money raised from the walk, which is named the oldest pledge walk in the country. Over 10,000 runners and walkers showed up for Sunday’s Walk for Hunger. Musical guests Keytar Bear, Express Lane Quartet and more spurred walkers on with their fervent performances. 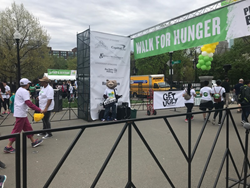 On the day of the walk, Project Bread estimated that approximately $2.4M in donations had been raised and the organization was expecting further cash donations in the weeks following. To learn more about the partnership between Get Ugly Sweaters and Project Bread, visit Get Ugly Sweaters' charitable giving page. Get Ugly Sweaters is a Boston-based clothing line for those people who want to make a statement wherever they go. It was born from the idea that people are born innately creative and with a sense of humor. Get Ugly Sweaters strives to be the life of the party, whether at your office Christmas party or on college campuses. Furthermore, Get Ugly Sweaters is dedicated to helping end hunger by feeding 14 people in need with the purchase of every sweater. To learn more about the brand, shop their styles, or to hear more about their partnership with Project Bread, please visit their website.